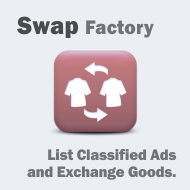 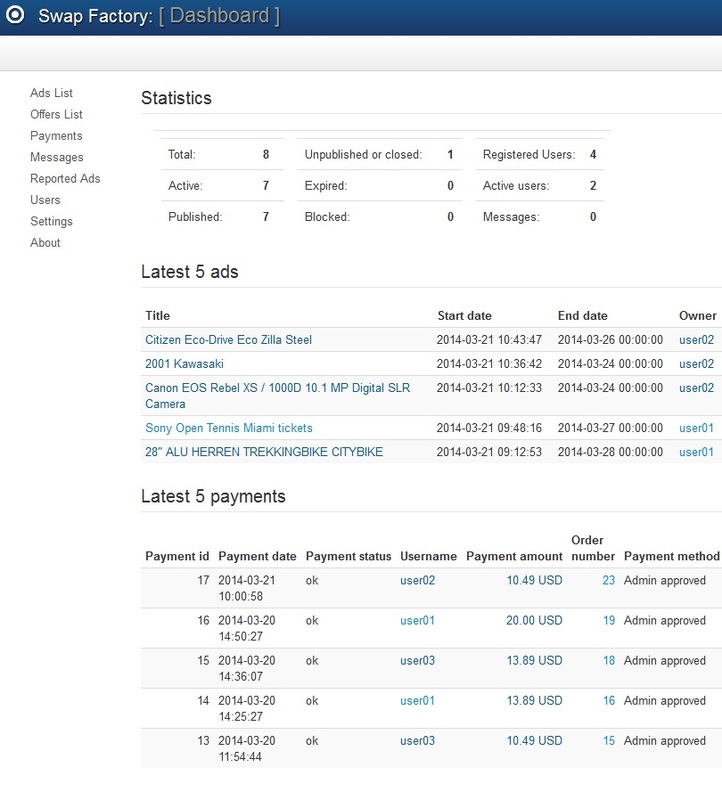 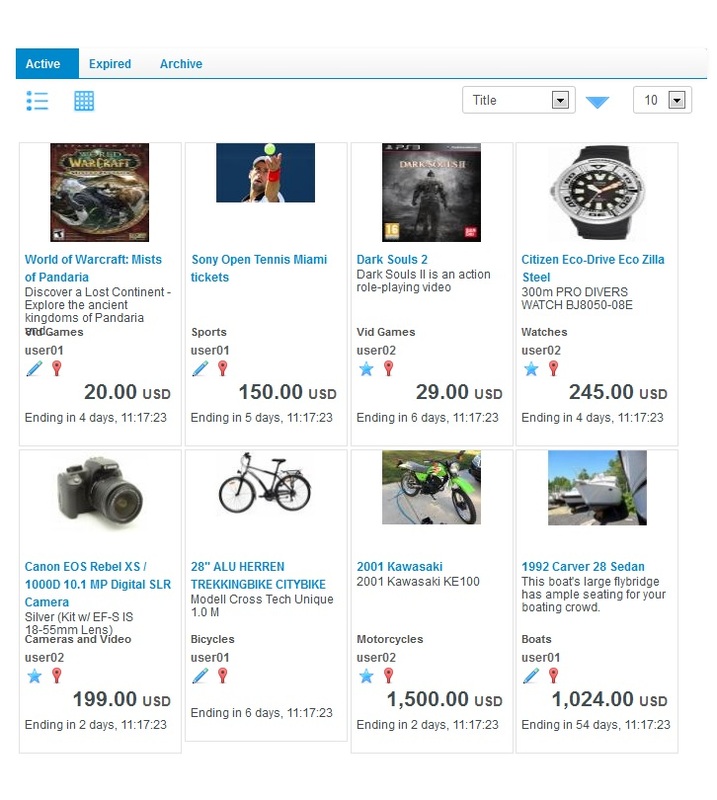 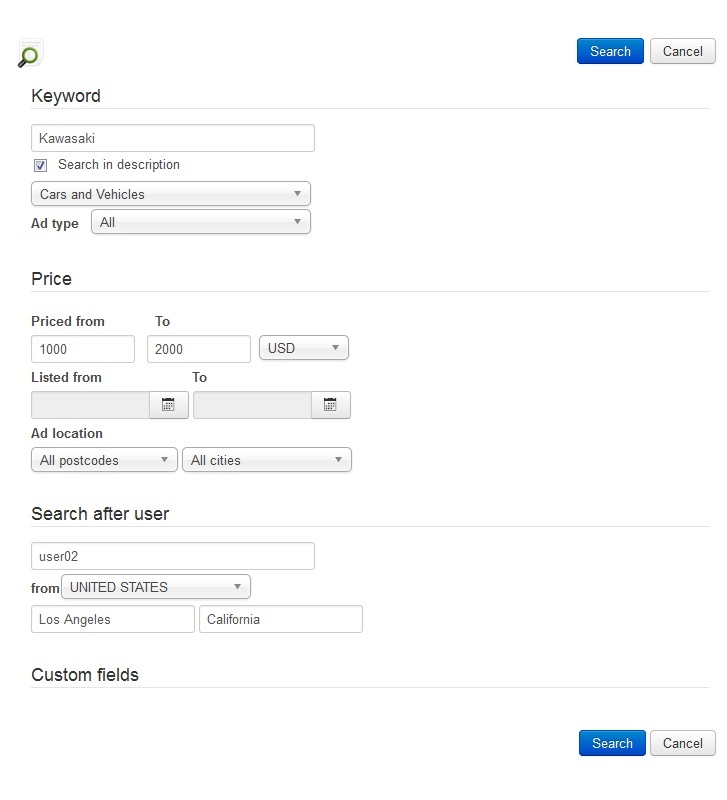 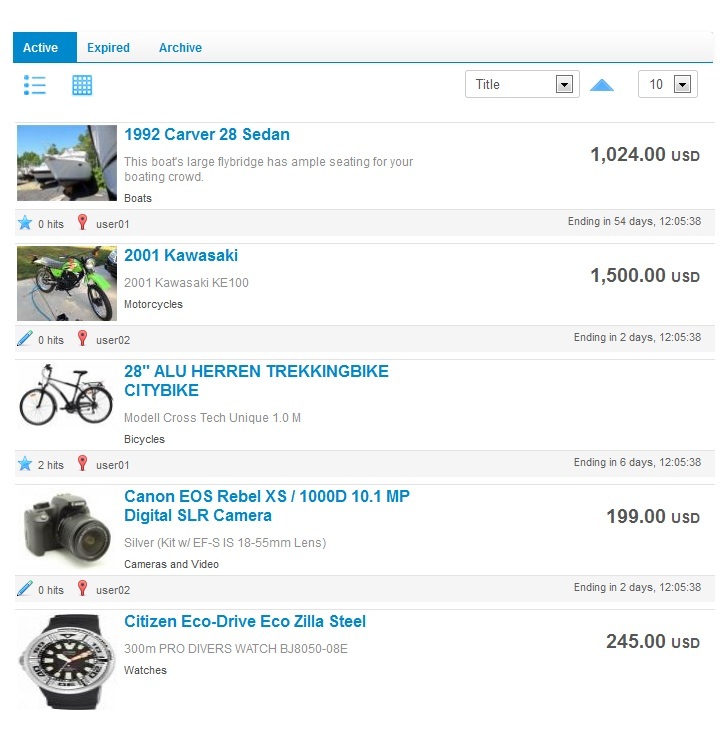 Swap Factory offers a user-friendly and easy to manage exchange system of the goods added by users as classified ads. 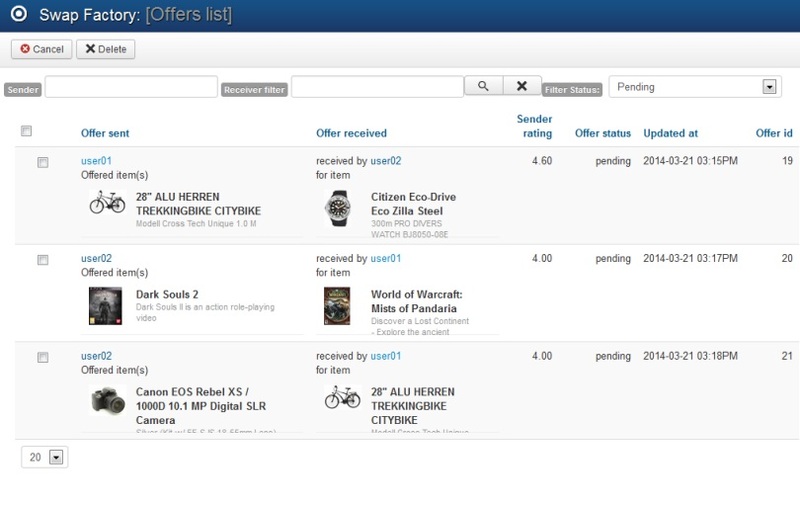 An overview of the submitted, received and closed offers is available for each user. 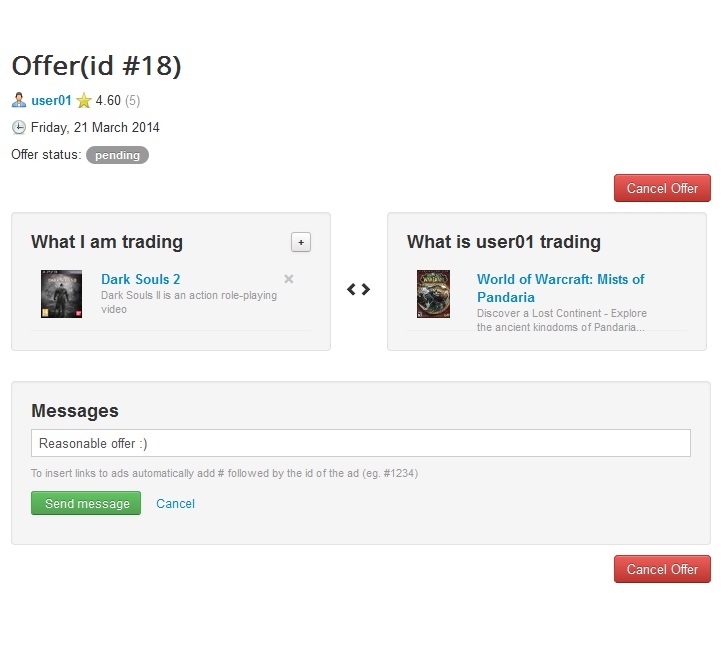 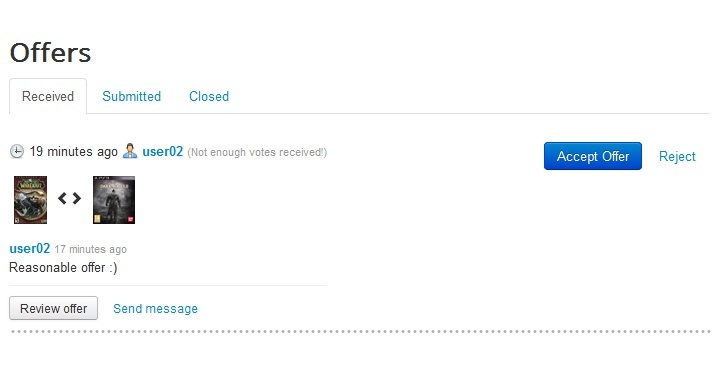 They can view and accept/reject received offers or to cancel submitted offers. 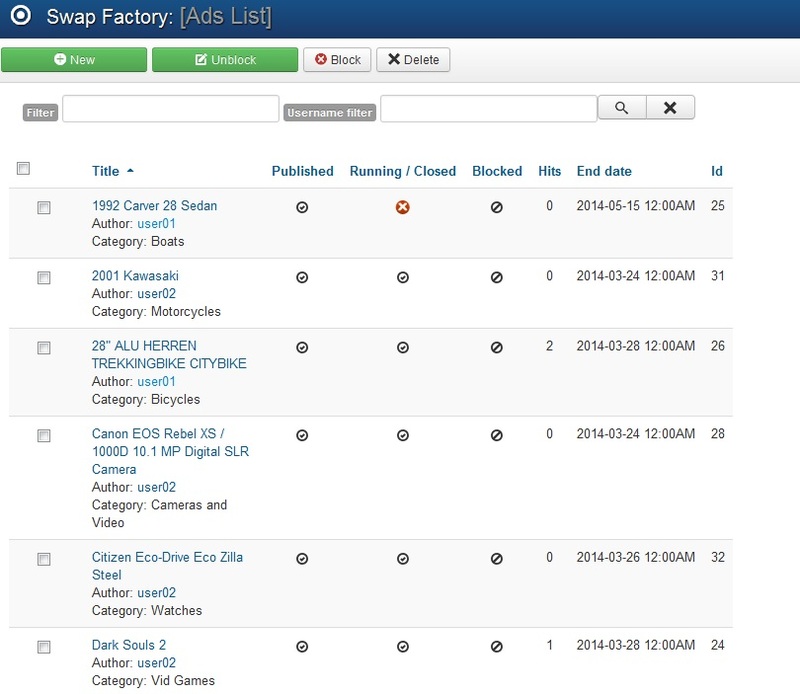 Swap Factory 2.2.2 released on November 13, 2018. 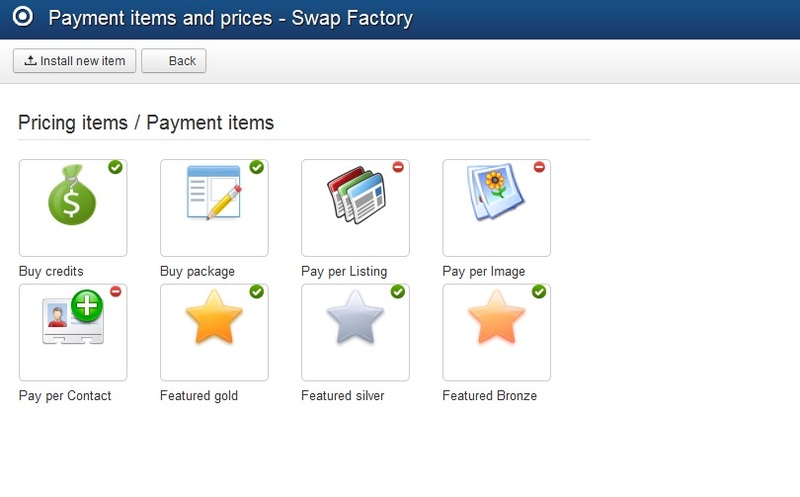 Swap Factory 2.2.1 released on September 7, 2018. 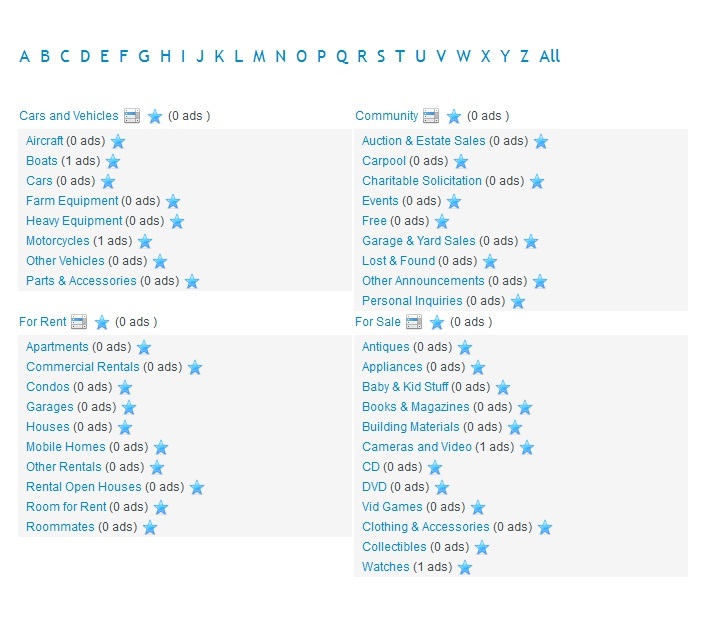 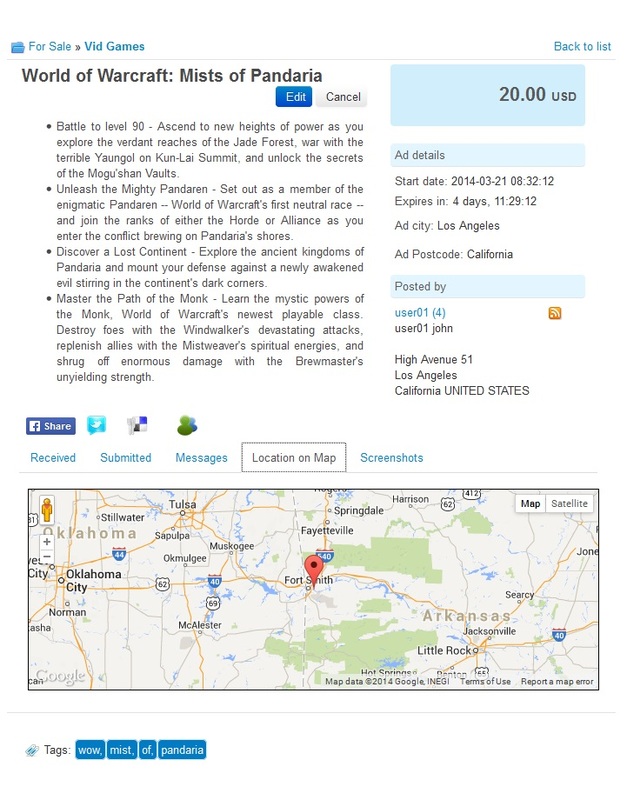 Fixed several issues inluding ads on map (better filter, remove expired and show for guests, UTC time). 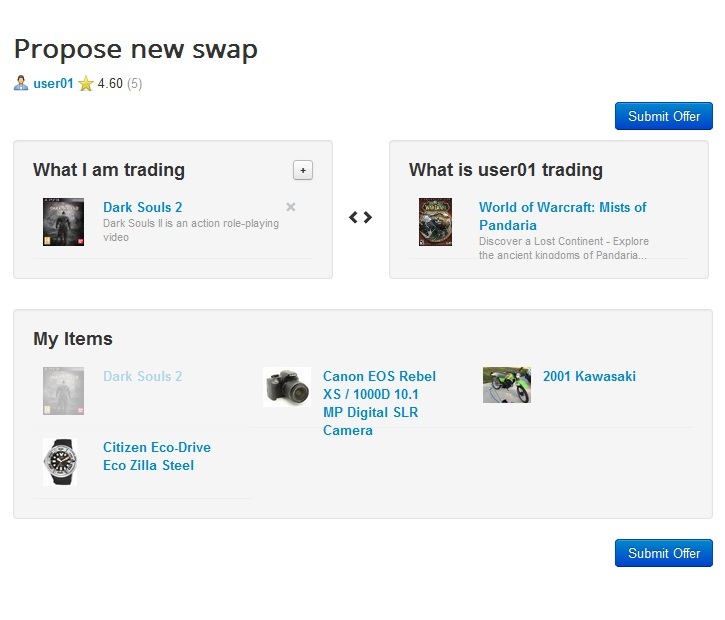 Swap Factory 2.2.0 released on December 5, 2017. 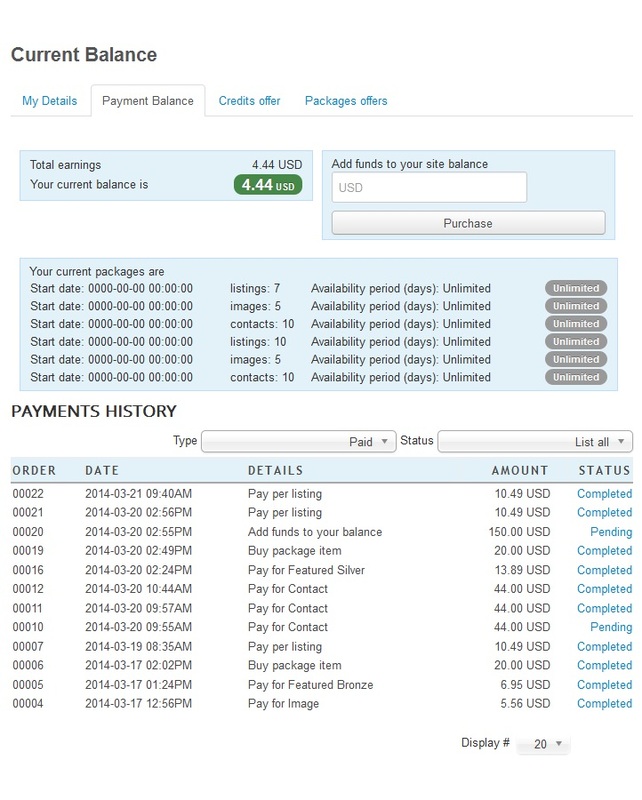 New feature: currency display option. 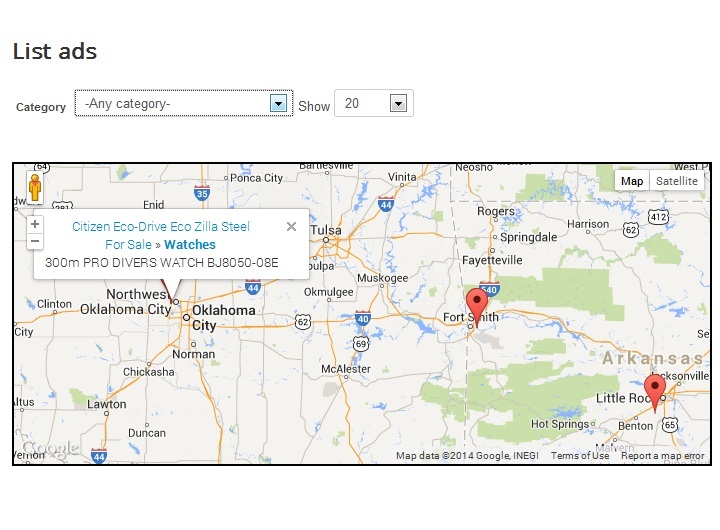 Improved Google Maps location picking. 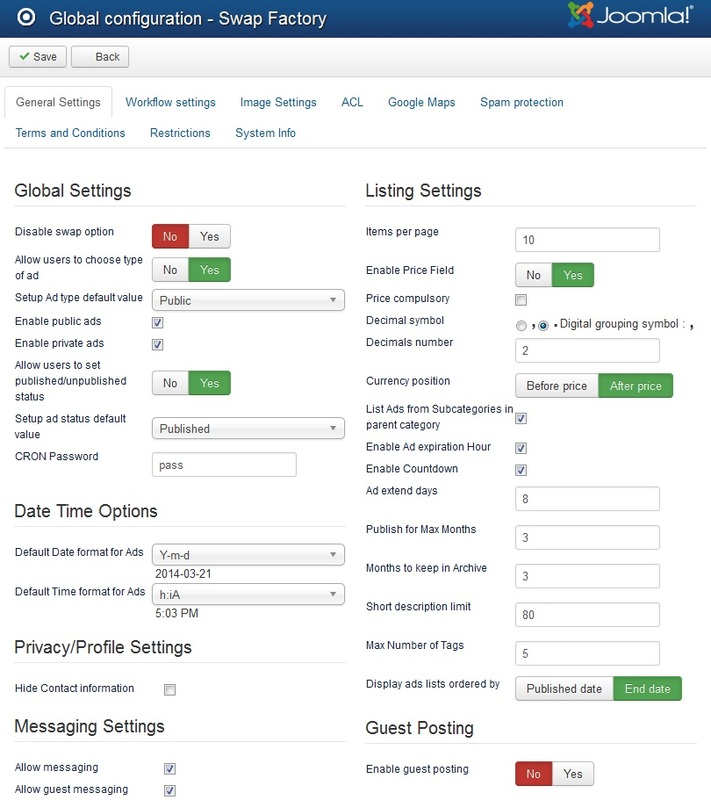 Optimization: removed legacy Joomla classes. 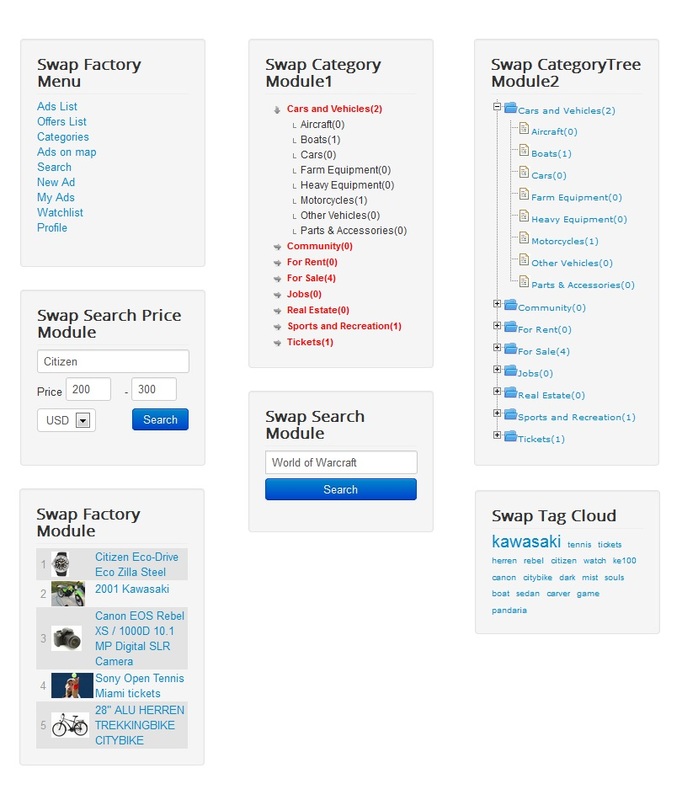 Swap Factory 1.0.0 released on March 28, 2014. 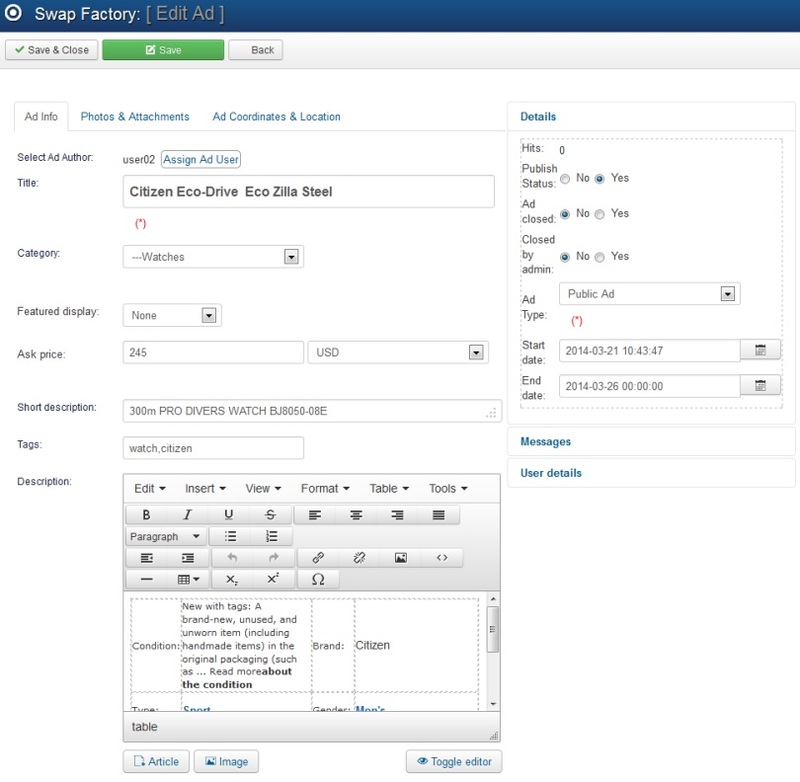 Screenshots are representing version 1.0.0 of Swap Factory.